The site Ingresso gives a release date for November 10, 2016. EDIT: Netherlands also have their release on the same date (thanks Daff for the info). 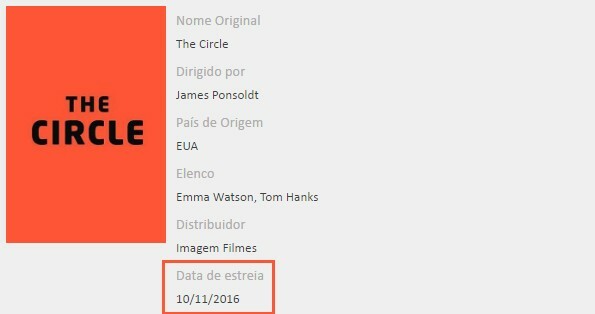 All releases for the film will be listed on this page: THE CIRCLE releases. It's right under the header.